Are you bothered by sagging, tired-looking eyes or seem to have puffy bags beneath your eyelids even when you are well-rested? Cosmetic eyelid surgery, or blepharoplasty, can help! Sagging upper eyelid skin or herniated fat beneath the eyes, due to aging or genetics, can cause our eyes to portray a sad, tired or worried appearance. 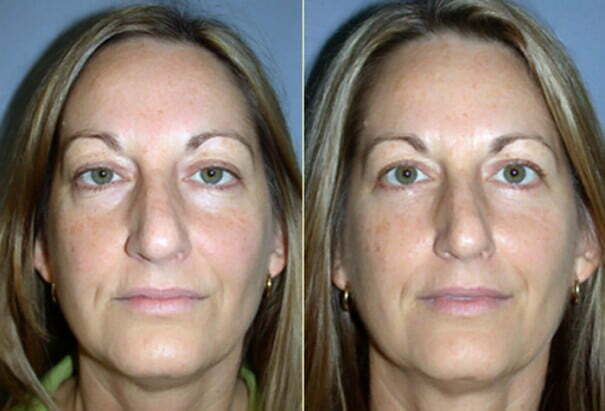 Blepharoplasty removes excess skin and smooths out the fat that causes puffy eyelids. By making subtle changes to the skin and tissues around the eyes, an eyelid lift can restore your natural vibrance and rejuvenate your appearance. Eyelid surgery is tailored to a patient’s individual needs. During your pre-surgical consultation, Dr. Movassaghi will discuss with you the procedure options that will best meet your aesthetic goals. Blepharoplasty may include the repositioning or removal of excess skin or fat and/or muscle tightening on the upper or lower eyelids, or both—it all depends on your anatomy and desired look after surgery. An upper eyelid lift mainly focuses on removing excess, sagging skin and restoring a more naturally youthful contour to the upper eyelids. If you feel that your eyes have a sad or tired look to them, upper eyelid surgery can achieve a more alert appearance. This procedure may also be indicated for patients whose vision is obstructed by sagging upper eyelids. Through a tiny incision made in the natural crease of the upper eyelid, Dr. Movassaghi will remove the excess skin as well as reposition fat or muscle tissue as necessary to achieve the desired outcome. Upper eyelid surgery is frequently combined with brow lift surgery to improve the appearance of the upper one-third of the face. Lower eyelid surgery helps to restore a more youthful appearance to the lower part of the eyes by addressing herniated fat and sagging skin beneath the eyes. If you are bothered by puffy “bags” under your eyes or if you have a droopy, sad expression resulting from sagging lower eyelids, a lower eyelid blepharoplasty can restore a smoother, more youthful contour. Lower eyelid surgery typically involves a thin, short incision just below the lower lash line or just inside the lower eyelid. Through this incision, Dr. Movassaghi will remove or reposition fat, tighten muscles, and remove excess skin as necessary to achieve a natural appearance. Blepharoplasty is done on an outpatient basis under sedation and local anesthesia or general anesthesia. Dr. Movassaghi performs surgery at McKenzie Surgery Center or Sacred Heart Medical Center in Eugene, Oregon. Through the appropriate incisions for the exact procedure you are having, Dr. Movassaghi will remove excess skin and fat and tighten muscles as necessary. Incisions are closed with sutures; no bandages on the eyes are necessary. You will be able to go home an hour or two after surgery, and are encouraged to get up and walk around the house that evening. Your eyes will be sensitive and tire easily for the first week or two, so having music or audio books on hand will be helpful during your initial recovery. All sutures are usually removed within 4 to 6 days. Initial mild discomfort is easily controlled with oral medication. Bruising and sensitivity to light last at least a week or two. Swelling progressively disappears in 1 to 2 weeks. Eye makeup can be used after sutures are removed. Contact lenses can be worn when comfortable—usually within 7 to 10 days. If eyelid lift surgery is being done to improve the field of vision, insurance may cover upper lid surgery. Otherwise, these procedures are considered cosmetic, and the patient is responsible for payment.